We’re already on to the next phase of our journey, so these are just a few tidbits that didn’t fit into our other Australia posts. Not nearly everything from the trip, but a few items we don’t see in the US. We mentioned the Big Animals in Australia. 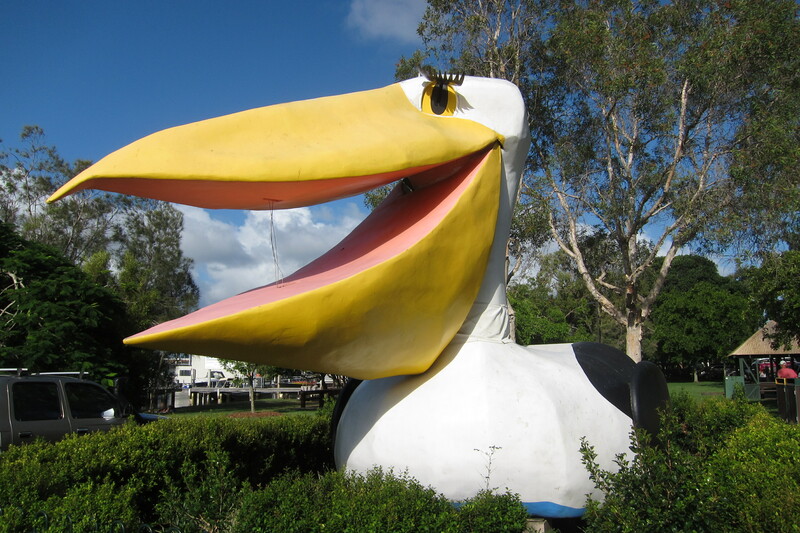 We spent a week near the Big Pelican in Noosaville. Once on a float, now renovated with $10,000 of community contributions. 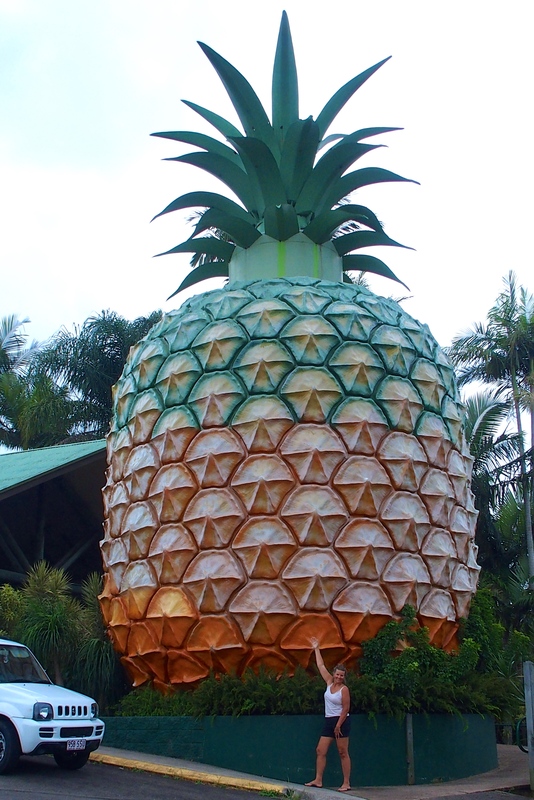 And we made a short stop at the Big Pineapple in Woombye, now possibly the world’s biggest pineapple after a Hawaiian competitor bit the dust. When our kids were little we stopped for photos at every roadside big animal, usually just slightly larger than lifesize. The kids loved it! (Not.) Australia’s big things are significantly bigger. We’ve been chasing after the magpie birds thinking they were so strikingly beautiful. Apparently, locals don’t share our perspective and find them quite nuisances. Note the eyes on the back of this ice cream container. 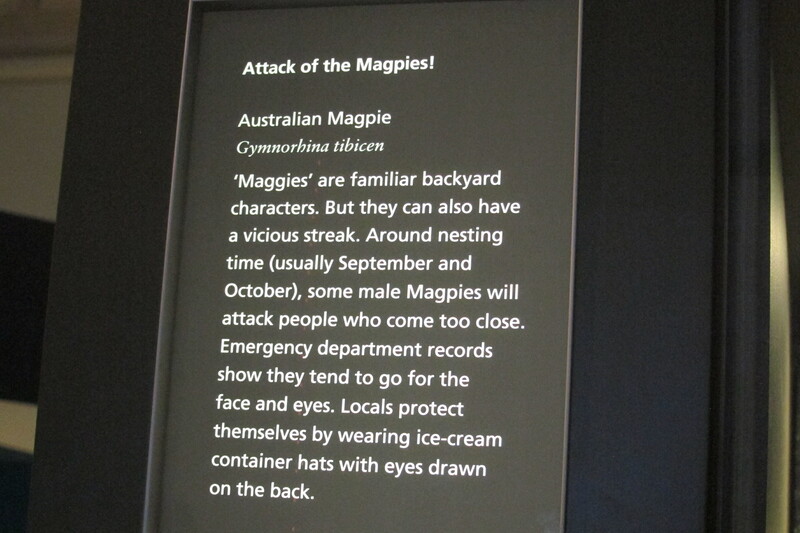 Magpie defensive gear! Their commerce initiative got us interested in becoming importers of a great product we used in the hot Australian climate: the Decor wine cooler. Looks pretty sleek on the outside. 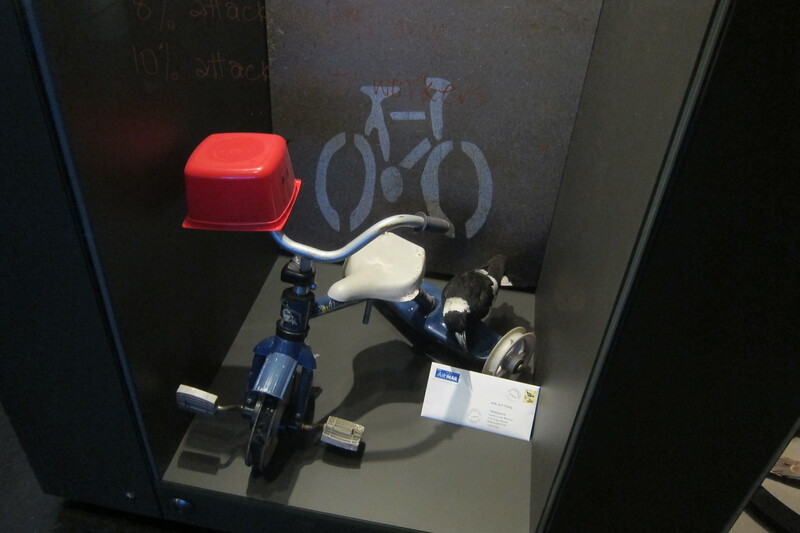 The product is so cleverly designed that it is in MOMA in New York. 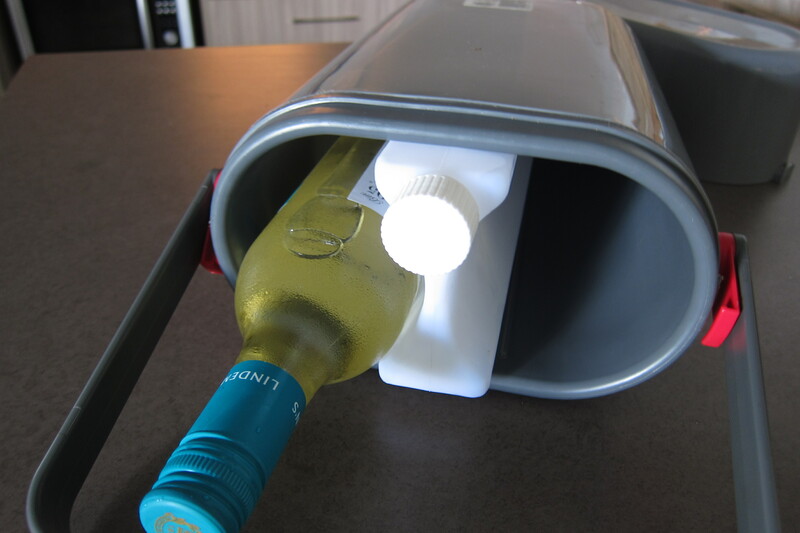 The innovative element of the wine cooler is what’s inside, a freezable water pack, so the wine actually continues to be chilled until the ice melts. Every winery in America could sell these (well, maybe not those in Washington since it doesn’t get hot enough there!) We would love to import this to the US, or at least one that we can use at the lake. We used this every day at the pool. Speaking of the lake, Keuka Lake, we continue to offer QKA sightings around the world. 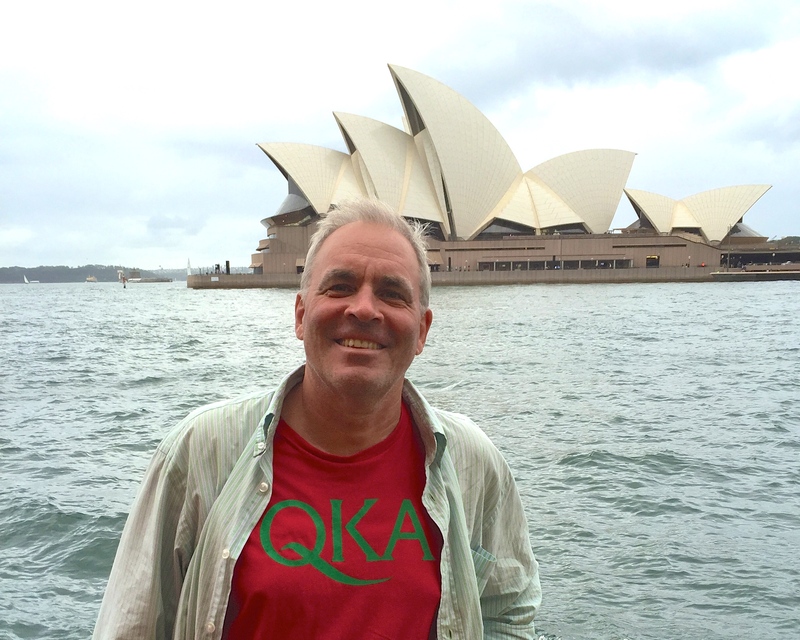 How many other QKA shirts have visited the Sydney Opera House? We mentioned the Blue Mountains. These are west of Sydney. The source of their blueness is hotly debated. Some say it is the effect of light diffraction by particulate in the air, similar to the particulate in water that causes it to appear blue. 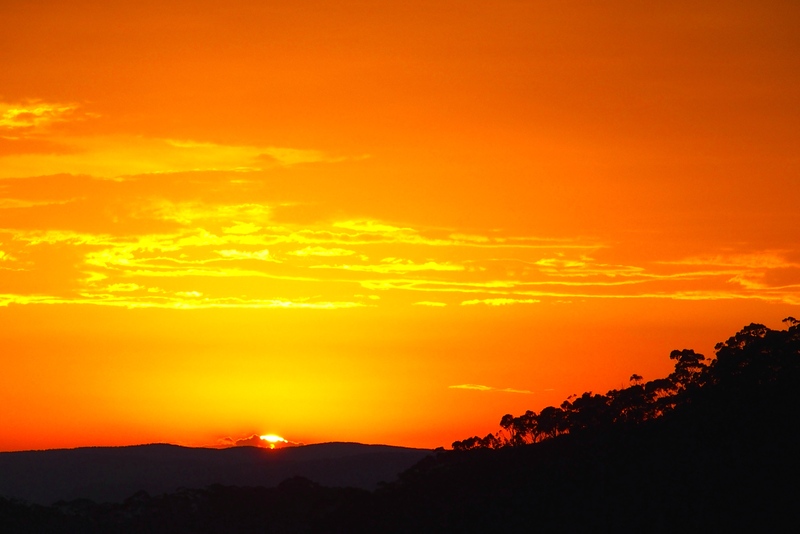 Others claim it is related to eucalyptus oil in the air. Either way, they are pretty. 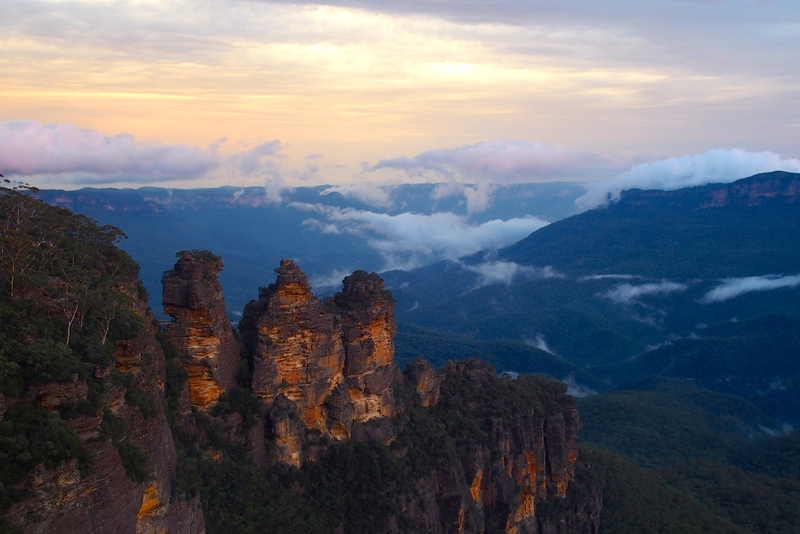 The Three Sisters, near Katoomba, with the Blue Mountains in the background. We really do hate to leave Australia. 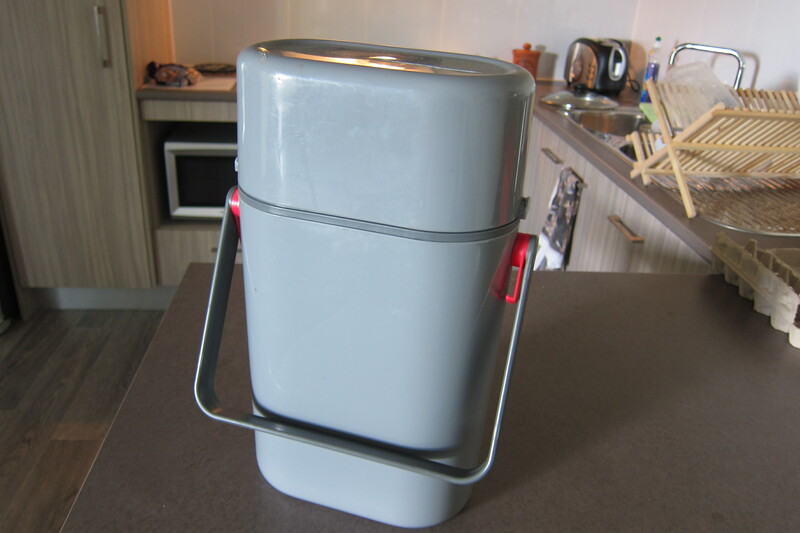 This entry was posted in Smell the Roses and tagged Australia, Big Pelican, Big Pineapple, Blue Mountains, Decor wine cooler, jetsleeper, magpie. Bookmark the permalink. It gets hot enough in WA on the east side of the mountains! I share your love of magpies; I think they are beautiful. We’ll just have to go back to Washington when it is warm. We did like the wines!